Magnets, we love these things. Magnet Horseshoe - This is a standard magnet to pick up paperclips and iron filings and stick to metal things! 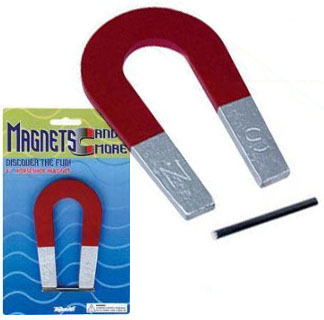 Experiment with magnetics using this powerful 4 inch horseshoe magnet. Everyone loves magnets!